One of the highlights of an entrepreneur’s life is to build and run his own business or company. However, running a company single-handedly can be a challenging process, especially if you do not have enough experience in the field of entrepreneurship. Of course, you may think that having more than enough financial resources is enough to survive and grow your business successfully over the years; but in reality, all your efforts and investment will go down the drain if you do not have the right knowledge of the ins-and-outs of running a business. If you are still not confident with your entrepreneurial skills, then it would be a great idea to have someone with enough experience to help you in your marketing strategies and let your company grow. 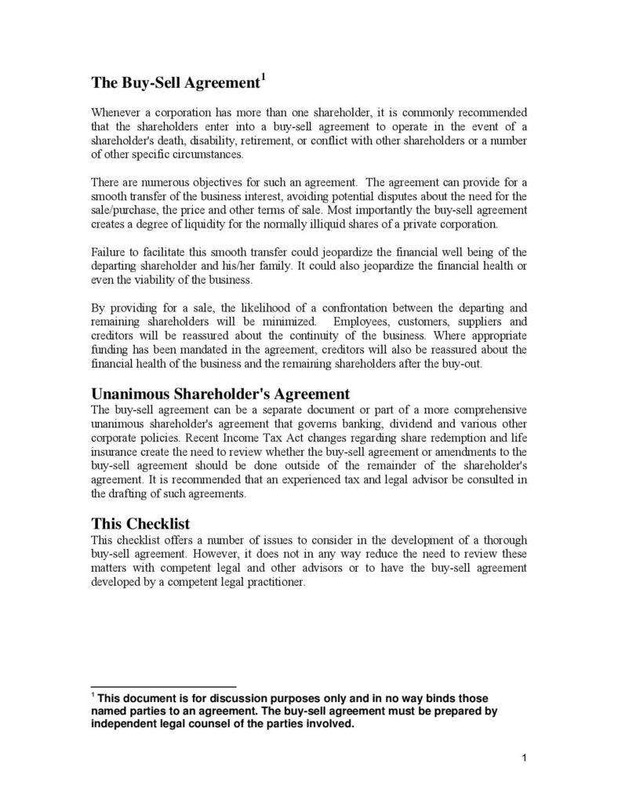 You may also see sample agreement. Whether you are a new or a seasoned entrepreneur, you know very well how entering a business partnership can bring so many benefits. Imagine Batman and Robin and how they fight the villains and protect Gotham City from potential destruction. Just like the cutthroat competition in the world of business, you will need someone who will support you in the battle for the survival of your business and brand. Although a business partnership is a great way to get your business to flourish, sometimes, there are certain circumstances when business partners have to go separate ways. But what will happen when you and your business partners decide to quit the partnership or when one is faced with an unfortunate event, such as an accident, sickness, or even death? Where should the ownership of the business go? This is where the buy-sell agreement will come into the picture. 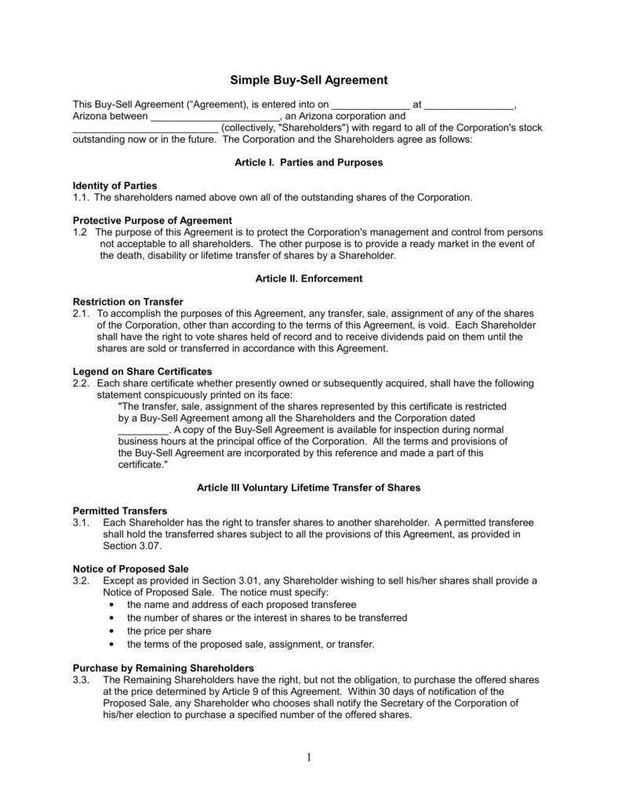 In this section, we will discuss all the important information about this type of business agreement and why it is one of the most important documents you should have when entering a business partnership. 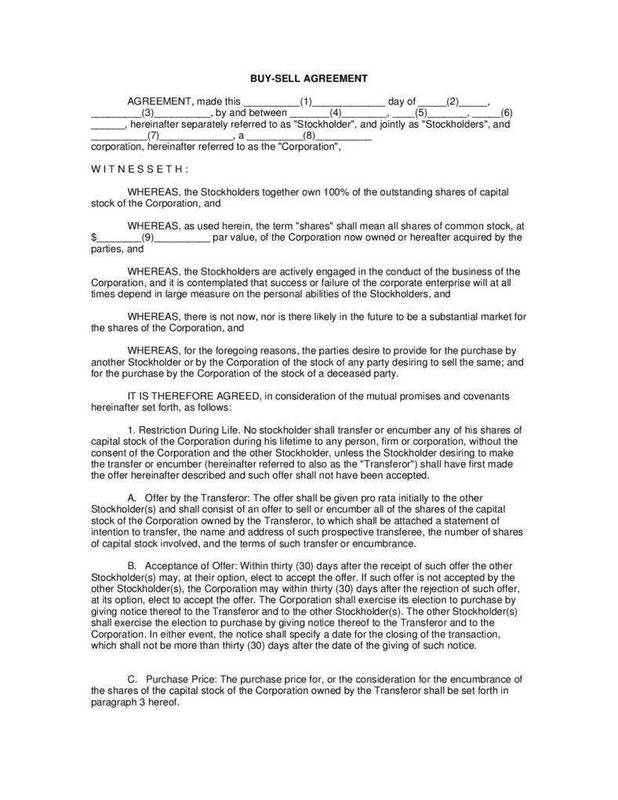 According to Investopedia.com, “a buy-and-sell agreement is an approach used by a sole proprietorship, partnerships, and closed corporations to divide the business share or interest of a proprietor, partner or shareholder”. 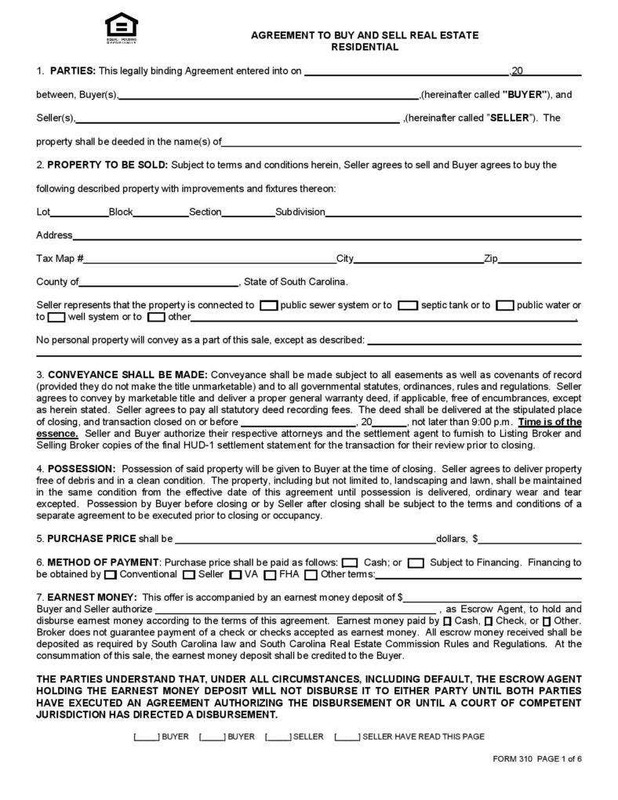 When an unfortunate event will happen, the buy-sell agreement is basically a contract that states the pre-determined terms that the departing owner will sell his part of the business to the remaining party or parties. That is why proper planning and consideration should be observed when writing down the pre-determined terms in the buy-sell agreement, as it can be considered to be an essential estate plan of a business owner. 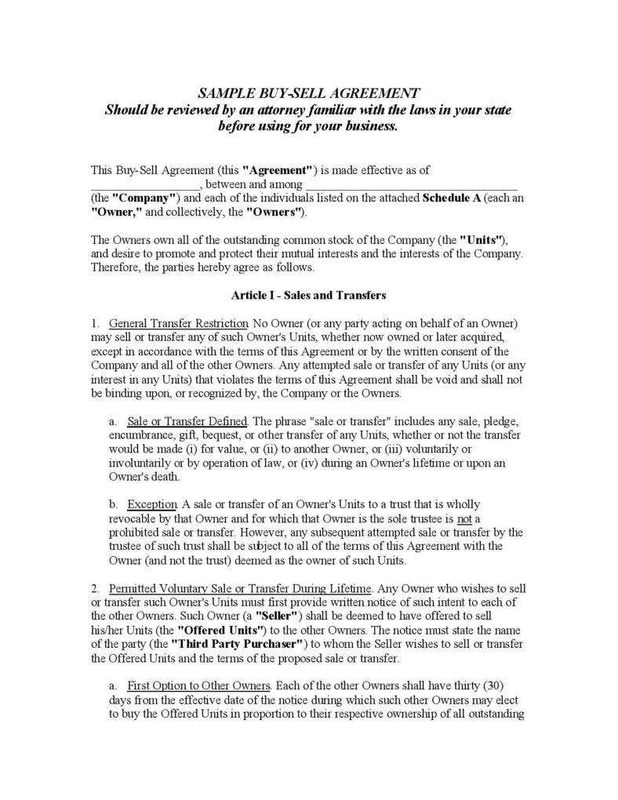 Having all the necessary details laid out in the agreement can save the remaining party or parties from chaos on who will take over the business. Not only business partners have the right to buy the departing shareholder’s or partner’s share of the business. 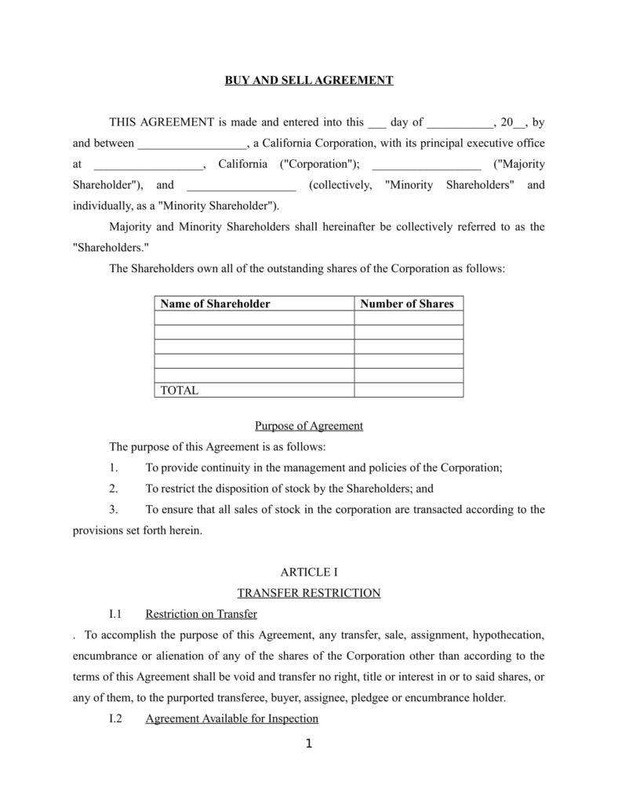 Outsiders, especially the family member of the departing partner, can have the option to buy the share. Aside from leaving the company, events, such as death, retirement, and disability, can trigger a buyout. 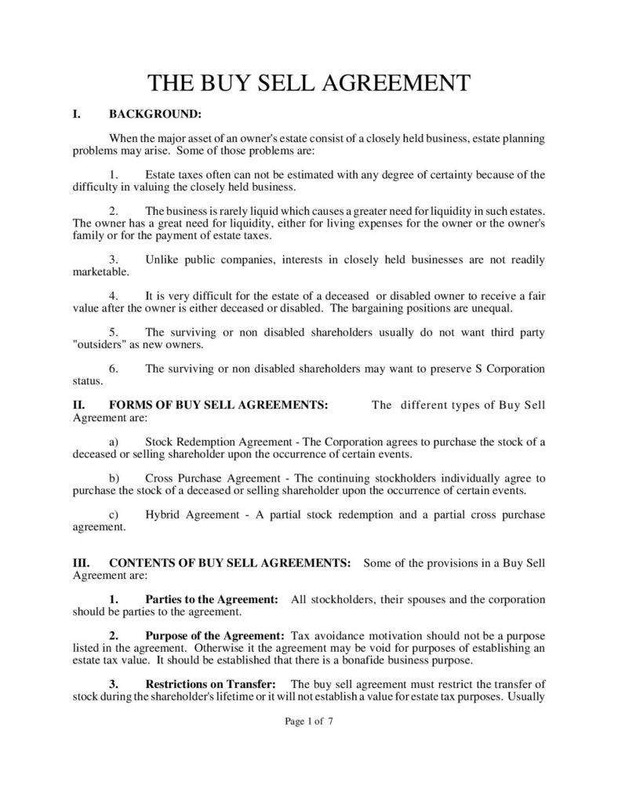 The method of buying the share is determined by the stock value of the departing partner or shareholder. 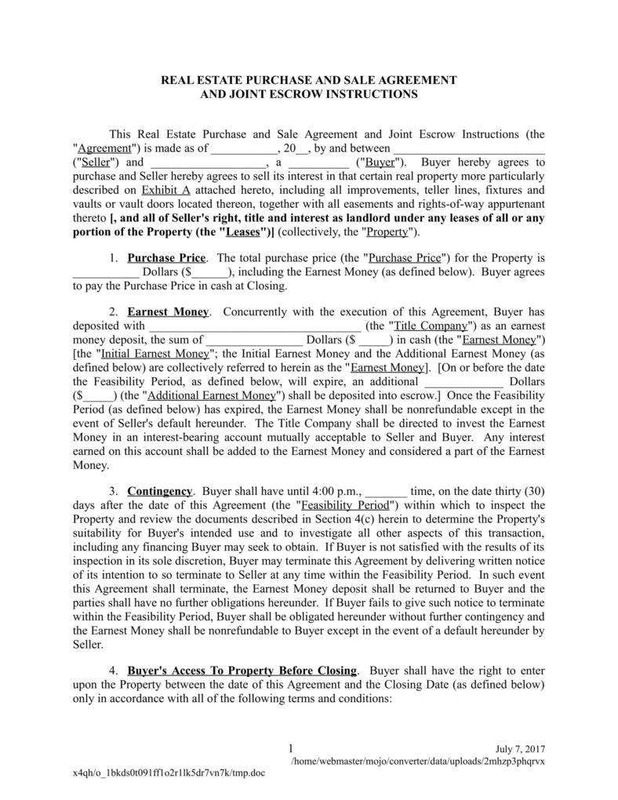 Sometimes, a buy-sell agreement has a provision that allows the remaining partner(s) to amend or terminate the contract. 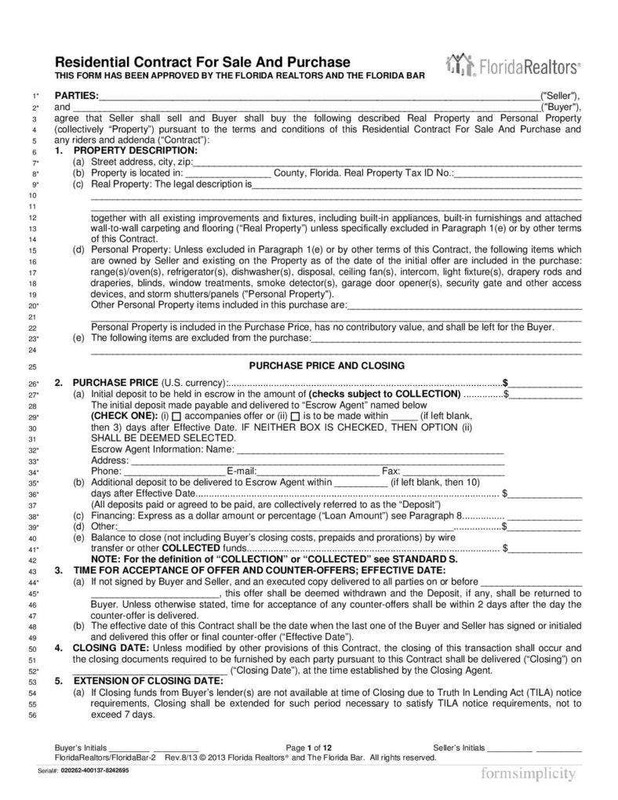 It contains an outline that determines how the buyer will pay for the purchase price. 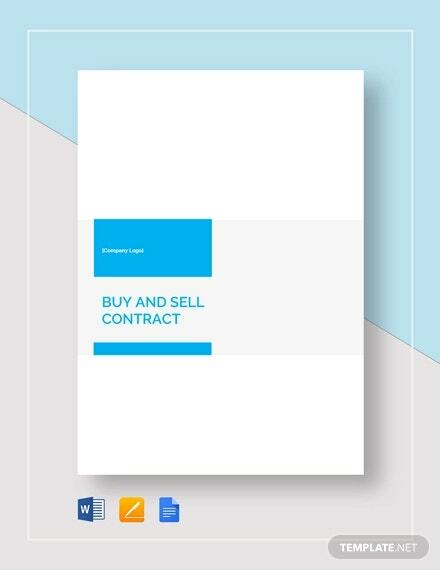 A buy-sell agreement comes in three different types: cross-purchase agreement and entity purchase agreement. A cross-purchase agreement is written agreement that allows each business partner to purchase other’s share and interest of the departing party directly in case of death, disability or retirement. 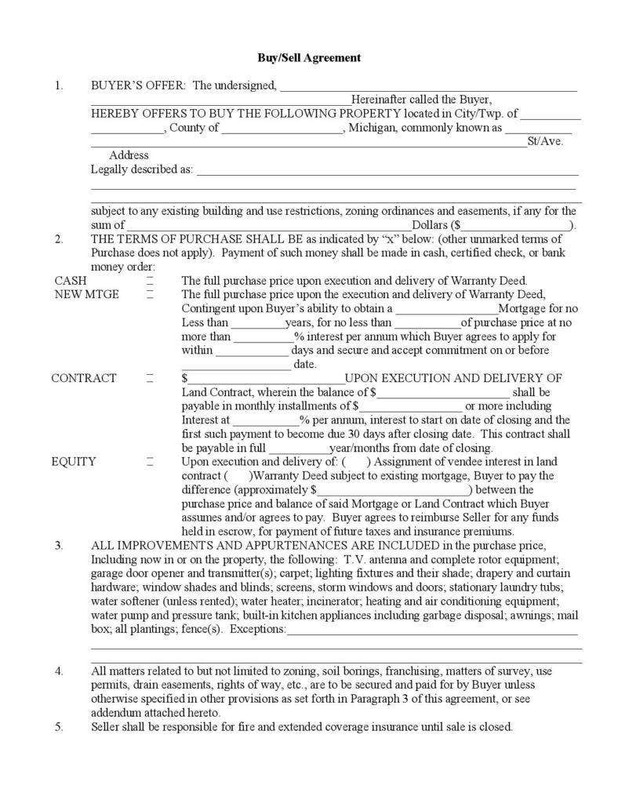 The entity purchase agreement is a written agreement that involves the company and the business owner. In this type of buy-sell agreement, the company can purchase the ownership interests of the business owner(s) if they faced a life-threatening event or should they wish to retire. Establishing the purchase price can often be challenging because stating a specific amount can be potentially dangerous, as it needs to be updated every year and should be based on a reasonable assumption. However, business experts recommend using the correct formula to compute the purchase price to come up with the exact price. On the other hand, you have to be extra careful when using a formula as it can be outdated. If you want to know the correct purchase price of the departing owner’s share and interest, you must seek the services of a professional appraisal and have the purchase price calculated at the appropriate and exact time it is needed. 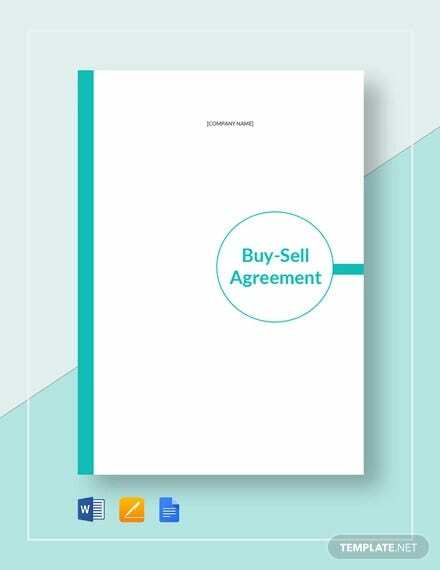 One of the greatest advantages of having a buy-sell agreement available is that it protects the business by providing the business a simultaneous management without any intervention from outsiders or unwanted shareholders. It helps to determine the methods of compensation of the deceased business partner and save the remaining partners against unnecessary arguments and claims as the business operation continues. A buy-sell agreement can be considered one of the most effective and powerful estate planning tools that business owners can use to protect their business from any sudden unfortunate events. If you and your business partners failed to plan for these events, it can surely spell disaster for the whole organization. This can potentially force the organization to sell the company at a much cheaper price. So whether you are planning to open a small or startup business or enter a business partnership, it would be smart to consider the benefits a buy-sell agreement can bring to the table.